Identify your products for storage and shipping. Using bar code labels to track and organize your manufacturing process is essential to your company. The labels need to stand up to harsh environments, abrasion, chemicals and rough handling. Weber matches your label requirements to the right materials and adhesives to ensure your labels are legible and stay put when applied. And by branding these labels with your logo or specific colors, you increase your marketing reach. From shipping labels and inventory label to work-in-progress and rating plate labels, we can help you choose the right label and help you automate your label application. • A variety of thermal-transfer and direct-thermal printing options are available for adding variable data on all applications, from incoming inspection to shipment or storage of finished goods. • Use durable label materials and adhesives to help your labels last longer under harsh conditions. • Multiple die cuts on a label allow information to be transferred from master label to smaller products or quality control paperwork. • Metalized label material works best for rating plates and other industrial applications such as motors. 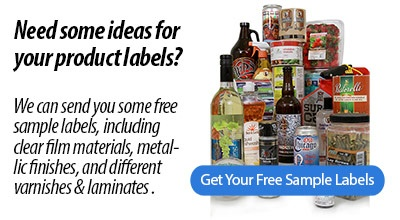 • Custom preprinted labels that include your logo give your product a professional appearance. • QR codes can be used on your labels to make it easier to re-order your products from a web site.